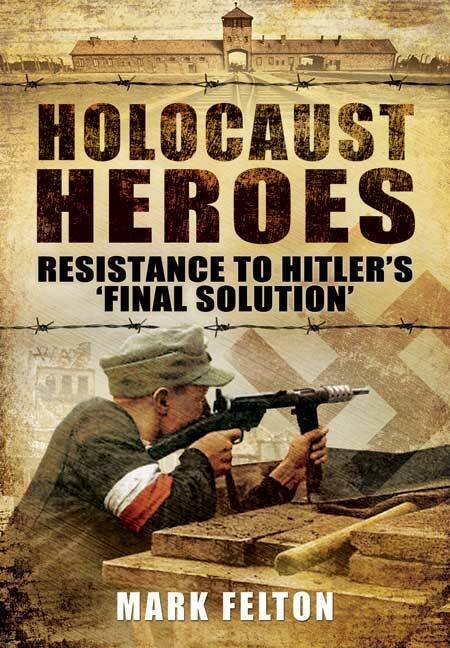 You'll be £19.99 closer to your next £10.00 credit when you purchase Holocaust Heroes. What's this? This inspiring book examines the often incredible and nearly always tragic examples of Jewish resistance in ghettos and concentration camps during the Nazis ‘Final Solution’. It shows that the Warsaw Uprising in Poland during April to May 1944 was not the only occasion of defiant opposition. Throughout the Nazis’ extermination programme Jews and other prisoners fought back against their murderers, often with stunning results. The Germans were nearly always taken by surprise by the sudden emergence of armed Jewish resistance and often paid dearly. This happened in ghettos and concentration campos (including Treblinka, Auschwitz, Syrels and Sobibor) throughout Poland and the Ukraine. Some Jews tried to stop the machinery of the Holocaust by rising up and destroying the gas chambers while others bravely tried to take over an extermination camp and escape en masse. In virtually every case the brave men and women who volunteered to fight back paid with their lives. Importantly these men and women are not just portrayed as victims but also as brave and resourceful fighters and resisters against their tragic fate. These are stories that are uplifting, inspiring and often profoundly moving.